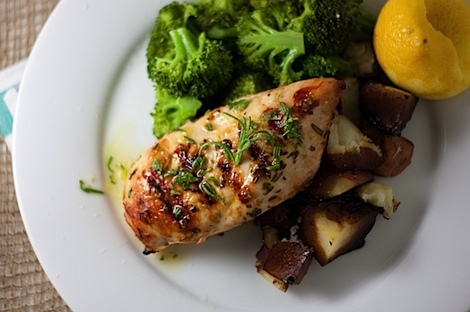 How about an easy chicken recipe to grill up this summer? 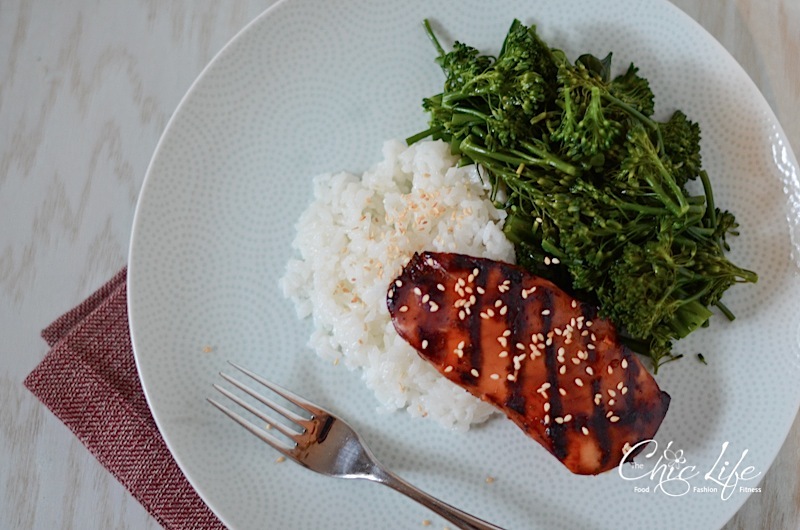 Try this Ginger Soy Grilled Chicken Recipe – made with only 3 ingredients. Recipes with few ingredients are my fave. Isn’t it such a pain to go to the grocery store and pick up a dozen things to make one meal? I mean, sure it’s worth it once in awhile or for a special occasion, but for everyday eats, I’d rather just have everything on hand. I may not have fresh ginger at all times, but I always have soy sauce. Kikkoman has long been our family favorite brand for soy sauce. And ginger is easy enough to pick up with the chicken. I normally don’t do recipes with marinades because I think they take too long (and when you’re often coming home after most people’s dinner time, you need fast-fast-fast), but given the simplicity of some of them, I don’t mind doing a little multi-tasking while I’m letting the chicken get delicious. Here’s a super easy way to give chicken full-on flavor – Ginger Soy Grilled Chicken Recipe. Just use tasty soy sauce and vibrant fresh ginger in a quick marinade. Did I mention you only need 3 ingredients to make this?! A quick turn on the grill, and dinner is ready! 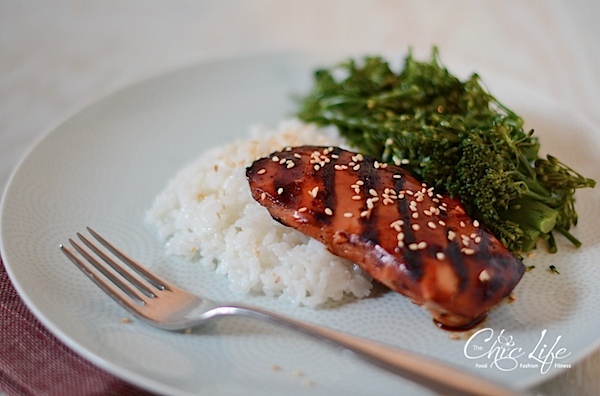 The chicken is a bit salty due to the soy sauce, so be sure to serve it with plain rice to balance the flavors. 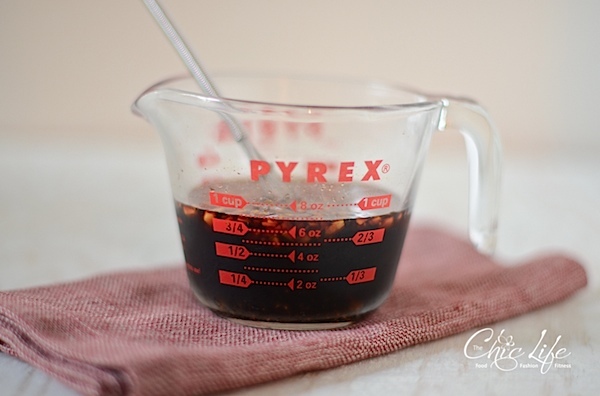 In a small bowl, add soy sauce and ginger and whisk to combine. 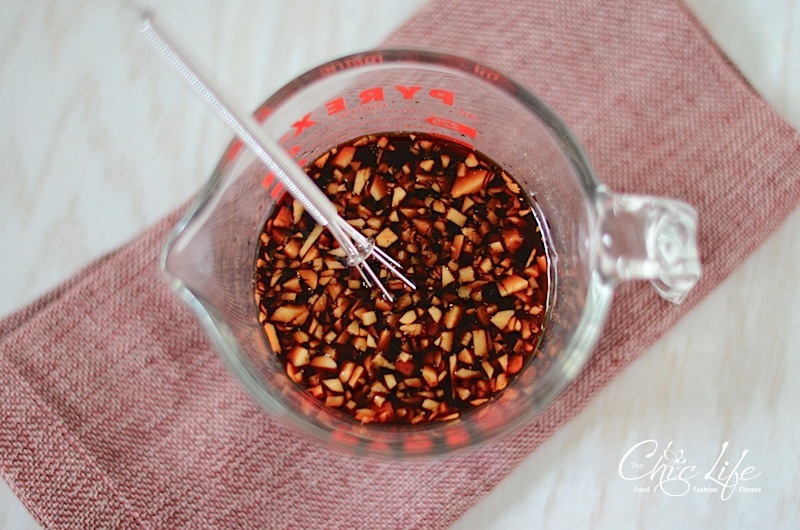 Set aside 1/2 the marinade in a small bowl (cover until ready to use). Marinate chicken in 1/2 the marinade for 30 minutes to one hour. Note: I like to take a large ziplock bag and roll the sides down. I’ll put the bag in a large bowl (see photos above), add the chicken, and pour the marinade over the chicken breasts. 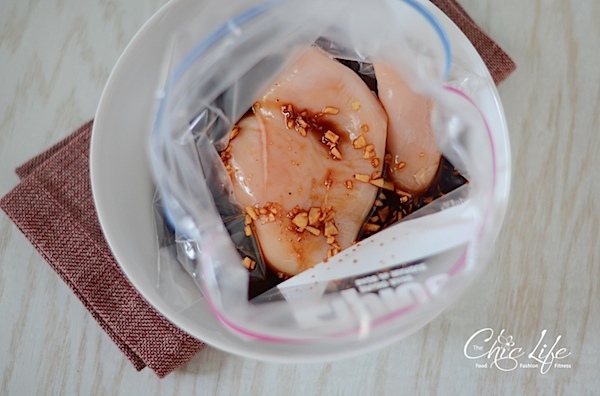 Then, I seal the bag and use my fingers to move the chicken to make sure they’re covered all around by the marinade. Pre-heat grill. Grill chicken, brushing with reserved marinade occasionally, until cooked through, about 6-8 minutes per side, depending on grill type and heat level. 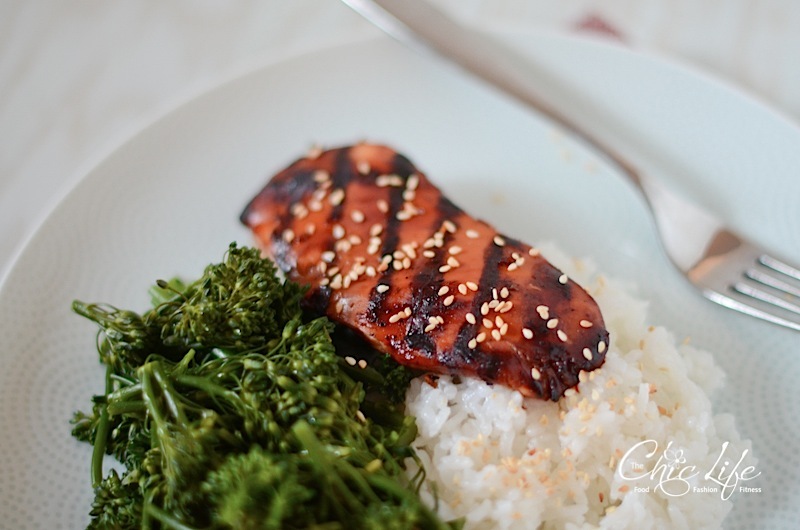 Serve with rice and vegetable of choice (I liked steamed broccoli or grilled zucchini) and sprinkle with sesame seeds, if using. Enjoy! 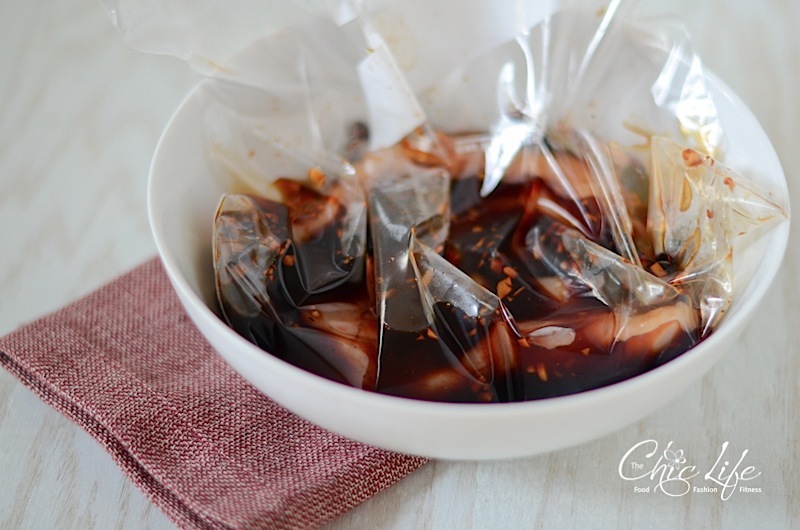 Prep time: about 5 minutes to mix and 30 minutes – 1 hour to marinate, depending on how patient you’re feeling. As for life lately, I just spent a great weekend in Greenville visiting my family for my dad’s birthday and for a belated Father’s Day celebration. I took some photos to share later this week. And I still have a bunch of recipes to post, including a variation based on this one! Happy cooking! Thanks for stopping by! I’m all out of fresh ginger. Would ground ginger work as well? I’d hate to go to the grocery store for just one item. Soy Sauce and Ginger on the grill are great. Really underused! I prepared this today (four chicken breasts, most of a bottle of Kikkoman and a chunk of ginger, grated) and got the kids to help with the cooking. Once the chicken was under the grill, we popped the marinade and a splash of water into a pot and heated it through (raw chicken, remember). We then did a stir-fry with carrot, onion, pepper and sliced ginger and added the marinade. This was plated up with wholegrain rice. Although edible, it was way, way too salty for our taste (as I kind of suspected) and regretted being seduced by the “only three ingredients” bit and the lack of sugar. The sliced ginger was a bad move too … I think it needs a few tweaks.